This extended tour visits many historic locations in haunted Providence and includes haunted stories of Edgar Allen Poe and HP Lovecraft. 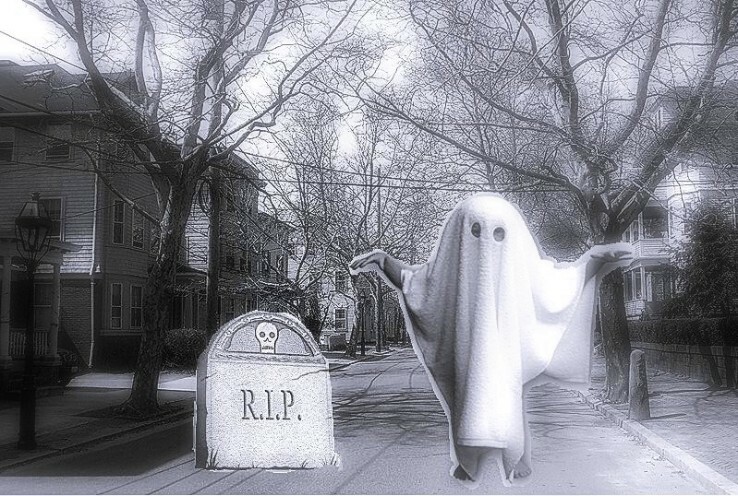 We have unearthed local ghost stories and have created a new historic walk in haunted Providence that shares its rich paranormal past. What is the tale of the Nightingale House? Or the rich stories of Benefit Street? And what is the strange story behind the “Shunned House”? Did Edgar Allen Poe and his “Raven” walk the streets of Providence and does his spirit still haunt one particular location? Which college boasts the most specter residences on campus? What unusual legends and hidden secrets come from Providence’s nearly 400 year old history? Are there ghosts there that can be captured by camera? Answers to all these questions and much morewill be yours when you come on the tour. Learn about the evolution and transformation of "America's Renaissance City ". We promise you won't look at it the same way after the tour. R.I.P Academy, unlike any other ghost tour, educates you on the legends, the apparitions, as well as ghosts hunting skills itself often not utilized by other investigation groups. What makes us different? We are actual psychic paranormal investigators and not actors. 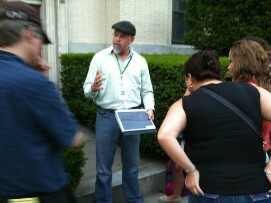 Unlike other tours, the RI Ghost Tour.com educates the participants in what ghosts are and are not.